What does Allahu Akbar mean? This is just a short clarification on this term. Firstly, let us look at the Arabic words. It means Allah is the greatest. Allah is the name of God in Arabic. This was in common usage in Arabia pre-Islam. Akbar means the greatest. Ie. There is nothing greater than Allah. This is not in relation to size, my Allah forgive us but in terms that there nothing that exists that is greater than Allah. 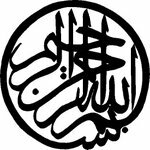 The majestic name [Allah] [Ism Al-Jallaha] is a noun that has its own grammatical rulings. For example when the invocation particle is added it becomes ya Allah يالله not ya ayhul which is unlike all the other nouns. So it’s completely individual in this sense and it is not a combination of words like al-ilah see ya rasul article. Incidentally, when the Christians translate the bible into Arabic they use the name Allah. When li is added to the majestic name it loses its first lam. This is another aspect totally unique to the name Allah. Akbar is on the pattern of ism al tafdil/the superlative. It is also on its own meaning we are not saying that Allah 'greater than' something as we would have to use min/than. We are saying that is the greatest period, full stop. We say Allah u akbar we mean that there is nothing greater, better, more sublime, more powerful, more wise, more mighty, more anything than Allah. All those means are combined in this wonderful statement contained in two words. This term is a pillar of the call to prayer. It is repeated four times at the beginning and twice near the end. This highlights how important these words are to the prayer. When begin physically praying this term is used before we begin. It is known as the opening magnification or the prohibition magnification. Meaning we have entered the sacred prescient of the prayer and now we cannot do anything except prayer. It can be used upon hearing good news or when receiving a blessing. It is also part of the funeral and 'Id prayers. So its use is sacred and cannot be used for the profane, unjust and plainly wrong. Murder is murder and cannot be justified by any means or any religion. For some reason indo-pak Imams say Allahu Abbari not Allahu Akbar. It is incorrect to pronounce it in this manner. The use of this term is to adorn an action with the sacred but it has to be lawful in the first place. Killing innocent people or harming them is wrong and it is the incorrect useage of this term. To put things very mildly. It’s a misuse and abuse of a sacred statement. I wish such people would refrain from this wretched behavior and using this term incorrectly. This term is misused by the media and those without knowledge to spread fear of Islam. When its a term of pure respect to the divine and should only ever be used for goodness.